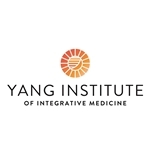 Yang Institute of Integrative Medicine (Marlton) - Book Appointment Online! Our complete psychiatric evaluation considers the biological, social, psychological, and spiritual aspects of individuals and how they relate to the mental and behavioral challenges they are facing. Based on information from the initial evaluation, tests on psychological function, biochemical and hormonal imbalance, neurotransmitters, toxicity, adrenal function, food sensitivity, electrophysiology and brain imaging studies may be recommended to establish cause, prognosis, and diagnosis. The results and findings of the evaluation and testing will be compiled and a strategic plan will be developed for effective treatment and the restoration of your well-being and happiness.